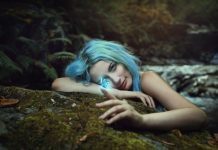 Activating the Third Eye to Astral travel and 5D, Opening Unconditional Love, Assisting Reunion… How to Select the Right Gemstone or Crystal for your Journey – 7 Power Stones for Twin Flames and Lightworkers. I get questions from Twin Flames all over the world about how I handled my own Ascension journey to Union with my Twin (we’ll be sharing our experience of Union in a future post). So, in this week’s post, we’ll deal with crystals and gemstones and how and why they can help you on your journey, including some recommendations for Twin Flames. And thanks as always to everyone who writes to me! All the universe is energy, atoms vibrating in particular frequencies. On the low end of the spectrum are fear, shame, guilt where the atoms move in a slow and heavy way, focused on contraction. On the high end of the spectrum are joy, peace, love where the atoms move in a fast and light way, focused on expansion. Crystals and gemstones are physical objects whose atomic structures are very high vibrational. We can use the natural high vibration frequencies of gemstones and crystals to assist our own energy systems in being raised, cleansed and purified. High vibration crystals can be so powerful that they release and bring to the surface a lot of negativity at once, and this can be incredibly unpleasant if you don’t have tools to handle it. 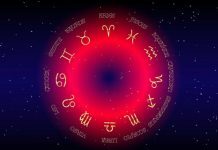 For someone who has toxins, negativity and blocks in their system – as is the case for most Twin Flames – it is necessary to use caution so it’s not all triggered at once by the high vibrations of the crystals. I’ve personally had some experiences early in my journey that I would not wish to repeat in a million years. I would always recommend using crystals and gemstones in combination with spiritual energy clearing. Using gemstones and crystals on your journey is something worth treating with respect. It can be incredibly beneficial but be mindful. Just like electrical sockets are wired to a particular voltage and you’d not want to plug in a device of 40 volts into an 80 volt socket, be mindful of how you use crystals and gemstones. Energy blocks function like a dam with a river. The block functions as a dam that’s holding negativity back, and when we release the block it’s important to know how to deal with the negativity behind it – otherwise it will be flushed up into your system instead of eradicated, and this can feel awful. This is why some healing modalities have you feeling A LOT worse before you feel better – because the negativity has been pushed to travel out through your system the slow way. 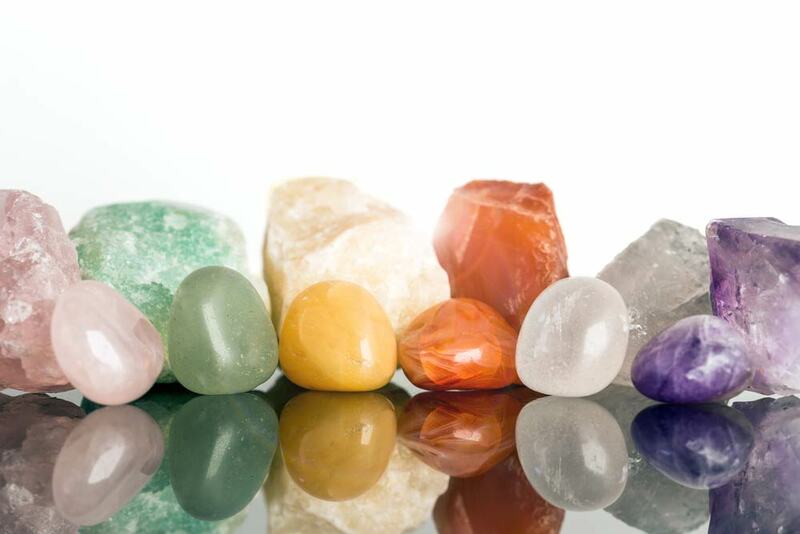 Together, energy clearing tools and crystals/gemstones combine into a wonderful system of cleansing and uplifting, helping you raise your energy vibration swiftly and joyously. They’re personal to you, although others may notice an effect when around them they are mainly working on your system. If you buy one as a gift for someone, this intention makes them “theirs”. People engage in an ongoing interaction with their gemstones and crystals energetically. Some people get very close to their gems and crystals and feel more “at home” around their energy. This can be helpful when traveling. Using your intuition to guide you to new additions or even replacements, is very useful. If you go to a physical shop, try to feel which area your energy guides you to, and pick up particular stones or crystals that catch your attention. See how they feel. Some are also more fragile than others, so take note if you carry them with you in your pockets and so on. Water cleansing, moonlight, sunlight charging and burying crystals are some traditional methods – but grounding and cleansing a crystal with metaphysical energy tools works for every gemstone and crystal. Connect the stone to the light and use the clearing methods you would use to cleanse yourself! Hold a stone in your left hand in order to feel its energy the strongest and receive it. If you’re using a cleansing stone such as obsidian, holding it in your right hand will allow it to draw negativity out of your system. I once visited the home of a woman who had crystals, gemstones, tarot cards and books on angels everywhere… And yet the energy of her home and her personality was chaotic, full of stress, negativity, defensiveness and fear. For me it was another interesting real world lesson from spirit that intention itself is not enough. It was shown to me that without the right clearing tools, someone can stay stuck in negativity for years – and this person had her crystals stirring up all her blocks… but because she was not taking action on clearing them, the energy was sticking around. Causing chaos and edginess all around her. My recommended approach from the trial and error of personal experience, as well as spirit’s advice – is to combine the high vibration support and uplifting capability of crystals with actionable energy clearing modalities. In this way you are able to swiftly clear out any blocks that are stirred up from your system, helping the power of the crystals lift you even higher. Assists the throat chakra and with speaking your soul’s truth. If you’ve felt marginalized, unappreciated, unable to be heard, this stone can be very healing. Centering yourself in your soul identity and speaking your truth. For Twin Flames, self acceptance, self respect and feeling safe to express our true identity is an important part of aligning with union in love. Self love is an essential part of the Twin Flame journey, and the throat is a gateway to creation and what we align with and attract in the physical. Consider how you “speak” to yourself in your mind and out loud. Are you showing love or condemnation? 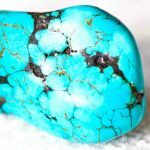 Turquoise can help you clear old blocks around self expression, uplifting you into greater freedom and self love. One of the “classic” gemstones that’s been used for millennia by priesthood and royalty alike. But happily, it doesn’t necessarily have to be expensive. 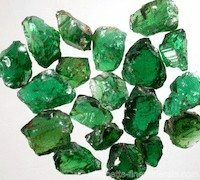 There are also many lovely opaque emeralds in different shades. This gemstone resonates with the heart. Emerald has a calm and grounding energy, a sense of rootedness in our deep identity as soul beings who come from Love and are Love. It assists in returning to the core energy of love and dwelling in a security of this feeling that love is where we come from, love is where we return. However – be aware that this crystal can cause major heart chakra blocks to be triggered, so use with caution. I had some uncomfortable experiences with this stone, as deep seated issues began to come up. However, getting the blocks to the surface will assist you in ushering in Reunion if you deal with the negativity properly. I’d recommend trying it as an accompaniment to the Higher Heart Transformation Journey to amplify your results, safely! Resonates with the heart, sacral and root chakras – this stone impacts physical romance and passion as well as emotional love. Just like with emerald, there are many different price ranges. Pink shades are generally less expensive than the coveted “pigeon’s blood” deep red color. This energy resonates with the fire signs in astrology (Aries, Leo, Sagittarius) and boosts your energy, courage and self love – a sense of self acceptance and pride in yourself. This stone can assists in reigniting romantic passion, even to rekindle passion that’s seemed “lost”. Beware again that this stone is incredibly powerful even if you get a small piece. Heart blocks and anything that’s kept you from living your life’s passion can and will be triggered to be released. This is another powerful stone to work with in terms of Twin Flame Reunion (read a Guide to Physical Reunion here), as it works directly on the heart chakra and blocks to love. 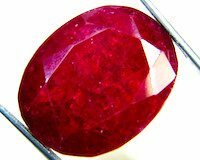 This is one of the first gemstones used by humans, and was commonly used as a spiritual tool in ancient cultures such as Sumeria, Egypt and Mesopotamia. A “seer’s stone”. Resonates with the third eye/throat chakra. This is a stone of power. Confidence, stepping into spiritual power, knowing your unlimited soul nature. Throughout history human energy fields have also been built up around this stone as well as its natural vibrations, this is a stone with both a history of and a vibration of depth and power. Spirit shows me Lapis Lazuli can function to assist opening gateways to higher dimensions. Bridging you with your own higher faculties and calling in soul gifts. 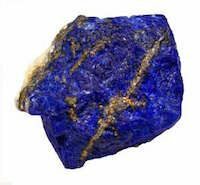 Lapis Lazuli is wonderful for tapping into your inner wisdom. Bringing out deeper abilities in terms of intuition. Confidence to express your truth. Feeling grounded in your spiritual identity. 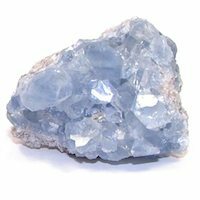 Celestite is my favorite crystal! It is such an extremely gentle, high vibrational energy. It has a soft, kind feeling, like a loving friend. An angelic energy that’s very comforting – almost like the energy sensation of a baby blanket. Softness, innocence, safety. This crystal works with uplifting your Crown chakra and heart, but also assists the whole aura and chakra system in being uplifted. Supports the aura to be strong and high vibrational and can therefore be a big help in “upleveling” to 5D and accessing the higher dimensions. Assists in opening up to communication with higher realms and your Twin Flame’s higher self (because it lifts the vibration high enough for us to perceive). The feeling of angels’ wings protecting you – very healing. This is a strongly grounding stone which acts as a protector against negative energy and toxic emotions, spirit shows me it like having a “body guard”. Black tourmaline assists you in seeing “clearly”, to live beyond the “human illusion”. A very powerful stone which can be useful for travel and to protect your home from negative energy – however, some people find this energy too intense. So experiment with what fits you best. This stone also serves to “purify” your perceptions, helping you to recognize truth from lies and to live your own soul’s purpose. 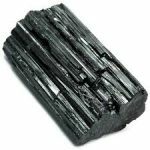 On the Twin Flame journey, Black Tourmaline can be incredibly powerful in releasing early life limiting beliefs around love, life and your own capabilities and ability to come together with your Twin Flame. Try it alongside the energy clearing session where we go through damaging belief blocks that get in the way of Twin Flame love, for maximum benefit. Remember that energy varies from individual to individual, so experiment with what serves you best and what works with your particular system and situation. As mentioned, there is a chance of triggering a release of past negativity, including karmic issues. Therefore I would always recommend using stones and crystals in combination with metaphysical energy tools such as the ones I teach in the Vibrational Alignment Program. Metaphysical Energy clearings are completely safe, because by definition your soul will only release what you’re ready for at that point and the clearings are done instantaneously on the energy plane. Contrary to this, stones and gems work strongly on the physical plane, releasing toxins and negativity via your physical body system – which can be unpleasant. Have fun! As always, I’m sending you love and light for your continued journey! Want more? For my step-by-step “roadmap” to Twin Flame Union, created after my Twin and I reached Union on my own journey – have a look at the Vibrational Alignment Program for Twin Flames. And you can read here about other Twins’ amazing experiences with the program! 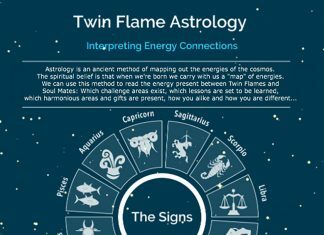 Alternatively you can try our Free Help Kit for Twin Flames! 2017 is set to bring deep transformations for Twin Flames, including awakening sleeper Twins. Sign up here to get the Full 25 page 2017 Twin Flame Energy Forecast for Free!